Now that, finally, the elections in Florida have reached a conclusion, there are lessons worth learning. One is on the subject of race. There was a fateful anomaly in racial voting in the governor's race between Democrat Andrew Gillum and Republican Rick DeSantis, now Florida's governor-elect. Given that Gillum, formerly mayor of Tallahassee, was running to become the first black governor of Florida, we might have expected black enthusiasm for his candidacy on the order of the waves of black enthusiasm for the presidential candidacy of Barack Obama. Gillum received a lower percentage of the black vote than did Democrat Senator Bill Nelson, who lost to Rick Scott in the senate race. White Democrat Nelson got 90 percent of the black vote and Republican Scott got 10 percent. In the governor's race, black Democrat Gillum got 86 percent of the black vote, four percentage points less than Nelson, against Republican DeSantis' 14 percent. Given the razor-thin margins, that difference in black support meant a lot. When Gillum finally conceded the election, he was behind by 33,683 votes. Each 1 percent of the black vote equated to about 10,000 votes. So if Gillum had received 90 percent of the black vote, as did Bill Nelson, rather than 86 percent, he could well have had another 40,000 votes, which would have been his margin of victory. Forty thousand votes is about 35 percent of the 112,911 votes by which Donald Trump won Florida in 2016. It's 55 percent of the 73,189 votes by which Barack Obama won Florida in 2012. So understanding why Gillum received 4 percentage points less of the black vote than Nelson, and why DeSantis received 4 percentage points more of the black vote than Scott could make all the difference in what presidential candidate wins Florida in 2020. Adding to the puzzle is the fact that racial politics played a high profile and nasty role in the Gillum-DeSantis contest. 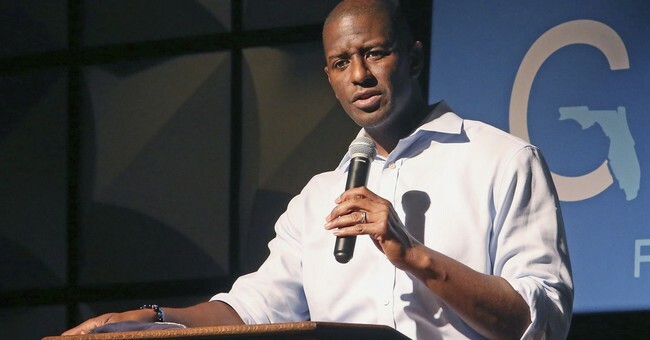 Gillum was aggressive in his allegations of racism against DeSantis. "Now, I'm not calling Mr. DeSantis a racist, I'm simply saying the racists believe he is racist," he said. He accused DeSantis of getting financial support from white supremacist groups and speaking at their events. DeSantis, a conservative former Republican congressman, made his support of Trump a centerpiece of his campaign, and President Trump campaigned for him in Florida. So how does this all compute? One convincing line of speculation is that DeSantis campaigned aggressively on parental choice in education and keeping in place and expanding the tax-credit scholarship program enacted under Governor Jeb Bush. Gillum campaigned on closing down the program, which empowers parents to use these funds to send their children to charter and private schools. Polls consistently show that blacks support parental choice in education. And for good reason. Black children are disproportionately trapped in failing, violent public schools. Black parents want alternatives for their kids. Gillum took the left-wing party line on education choice, against the sentiments of black constituents. This could have made all the difference. The lesson here is that blacks care about issues more than they care about skin color. It's an important lesson for Republicans going forward. They need to tune in to black concerns, which often are not the same as those of whites, and explain how the best solutions for those concerns are the conservative solutions. In addition to education, this means addressing issues such as housing, urban violence and prison reform. The governor's race in Florida gives us good reason to believe that a more aggressive, targeted effort by Republicans in reaching out to minority communities could make all the difference in the outcome of the presidential election in 2020.